We love our booze. It’s our drug of choice. Given 83 per cent of men and 74 per cent of women are drinkers; we don’t want to hear about the negative health effects. Most of us know about the repercussions of binge drinking, such as those who choose to drive while under the influence, but only one in three Canadians know that alcohol places you at an elevated risk for at least six cancers, including colorectal and breast cancer. That’s a national embarrassment. Alcohol-related cancers affect between 6200-9900 Canadians each year. “People are very uncomfortable with this in our society,” veteran journalist Ann Dowsett Johnston said on Friday during a Toronto forum on cancer and alcohol. Public health advocacy groups have set low risk guidelines – two drinks per day for men, one for women, none for pregnant women – but Johnston says there has been very little traction on these guidelines. The LCBO has distributed more than a million such leaflets on the guidelines. Did anyone actually read them? Part of the problem is there is no consistent communication around how big the problem is. The reality is there is no safe level of alcohol consumption. When more than three quarters of Canadians are consumers, you try to mitigate risk, you don’t eliminate it. Evidence would suggest the more you drink, the higher the risk. Cancer Care Ontario reports that about a million Ontarians are drinking more than they should, but that data is based on self-reporting surveys. Jurgen Rehm is one of the foremost alcohol researchers on the planet. He is a member of the World Health Organization Expert Advisory Panel on Drug Dependence and Alcohol Problems. Rehm says Canadians are notorious under-reporters when it comes to alcohol consumption. If you compare the survey results to the sales figures of the LCBO, you’d have to believe that 70 per cent of the alcohol we buy is never consumed. Rehm estimates that as many as three million Ontarians are in fact placing themselves at elevated health risk from the amount that they are drinking. While the provincial Tories and Corner Stores are advocating more privatization of alcohol sales, Rehm says that government monopolies are the most effective way to reduce alcohol-related harm by limiting access. When Poland and the Baltic States ended their state-run monopolies, alcohol consumption shot up 30 per cent. Rehm estimates that privatization of alcohol sales here in Ontario would increase consumption by 10 percent. That may be a ticking time bomb in terms of its costs to the public health system. Other countries have made progress on reducing alcohol consumption. Awareness of the connection between alcohol and cancer are much higher in countries like the UK and Australia where governments are playing an active role in public health advocacy on the issue. Cancer rates have also dropped in Russia 20 years after the introduction of public campaigns aimed at reducing alcohol consumption. What is particularly worrisome is that young women are closing the gender gap among Canadians who binge drink. Given the links to breast cancer, this should be a wake up call for policy makers. Surprisingly seniors are also a growing group that is consuming on a more regular basis. Research shows you are likely to consume more if you live in a rural or northern community, more if you are wealthy, less if you are poor and less if you are an immigrant. The forum brought together numerous public health organizations committed to raising awareness around this issue. Dowsett Johnston suggests that we are nearing a tipping point. Among charitable organizations is a fear that they are being used to “Pink-wash” the issue. Numerous alcohol companies are involving themselves in sponsorship of breast cancer fundraising and awareness events. One speaker noted it would be like a candy bar company sponsoring a diabetes awareness campaign. Some of have declined such associations, while others are still taking the money and leaving the public with a mixed message. If only one in three know of the link between cancer and alcohol, even fewer likely know there is a National Alcohol Strategy. The strategy’s working group is composed of 25 multi-sector experts, including representatives of the alcohol industry. The working group has been disseminating low risk drinking guidelines, including the one the LCBO has been giving out to customers. While the working group has made 41 recommendations, it has had difficulty getting traction on such issues as warning labels on alcoholic beverages. Dr. Robert Strang, Nova Scotia’s Chief Public Health Officer, agrees with Rehm that “we have to resist the move to privatize” due to increased consumption and the threat of harm. He noted a provincial report card that looked at 10 policy dimensions on alcohol. The average score from the Centre for Addiction and Mental Health was 47 per cent – which leaves “a lot of room for improvement.” While proponents of liberalized alcohol sales frequently point to Quebec, it scores among the worst in the CAMH report card. Heather Manson, Chief of Health Promotion, Chronic Disease and Injury Prevent at Public Health Ontario, says we need not only clear and consistent communications, but also socially responsible pricing. Similar to tobacco, we need a comprehensive alcohol control strategy for Ontario, one that includes limits on marketing. She says we need to “soften the landscape” for policy interventions. That includes making it less socially acceptable to binge drink. Toronto Public Health is doing its best to address the issue with a variety of campaigns aimed at youth. This in a city where the Mayor continually portrays his own binge drinking as normal and his Councilor brother suggests that this would somehow be okay if the Mayor chose to drink excessively in his own basement. They are also trying to promote health and safety at events on municipal property that involve alcohol. Shepherd says Public Health is also involved in policy intervention, including expressing their opposition to privatization of the LCBO. One of the barriers to a good public health strategy is political will. 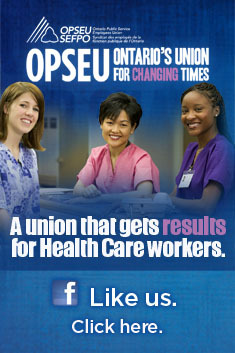 Ontarians are under increased stress in their everyday lives and alcohol is one way in which they are self-medicating. Politicians understand this and are presently unlikely to make that drug less available. One participant underlined the importance of keeping the bigger picture in focus. We can’t address alcohol in isolation from why people drink in the first place. Dowsett Johnston said she herself formerly found a glass of wine necessary to “decompress” from her work life. It was only when she reached her 50s did she recognize this as a health problem. We also have to address the stigma associated with alcohol that prevents us from having a conversation. Dowsett Johnston once thought a webinar she participated in was a failure until told there were 1500 people at their computers who remained silent during the entire event. One speaker noted that there are lessons to be learned from our successes at reducing tobacco consumption as well as drinking and driving. In both cases citizens came together and the media echoed their efforts. Can the same happen for alcohol? Dowsett Johnston thinks so. She has a new book out on the issue: Drink: The intimate relationship between women and alcohol published by HarperCollins. Dowsett Johnston is presently doing the media circuit promoting that book. This entry was posted in Uncategorized and tagged Ann Dowsett Johnston, Dr. Robert Strang, Heather Manson, Jurgen Rehm, Links between alcohol and cancer, Rob Ford, Susan Shepherd. Bookmark the permalink.